Northwestern University Press announced in a press release last September that its literary journal, TriQuarterly, would be transitioning from a print publication to online only. And per an NU press release today, TriQuarterly Online, aka TQO, will publish its first full issue in early July. 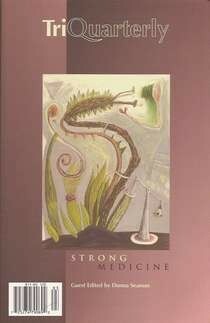 I wonder if this now makes my copy of the final print edition, an excellent issue guest edited by Donna Seaman and themed "Strong Medicine," a collector's item.